What about my Questions ?? Give us Feedback , because some said , File was Detected as Virus !! Build is notoriously bad for hand optimized assembly and self modifying code. Nothing to worry about, It's just unrecognized by the scanner. This happens all the time on legitimate stuff. 1) I'm not quite understanding your widescreen/fov question. 2) Texture filtering option is available in polymost renderer. 3) Soundtrack is sort of supported. You have to export tracks from yer CD disk/image to OGG or FLAC format and put to yer Redneck folder. 4) Yes. 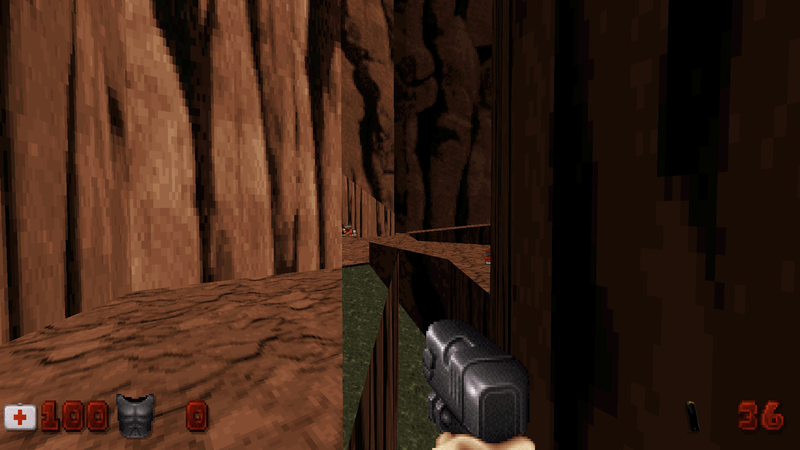 Duke 3d HRP should work fine with Rednukem. Yes, those features are the same as in eduke32. Rednukem should have the Color Correction menu just like EDuke32. Ah is based on EDuke32 ok ! Yes , that is what i think too , but who have problems , can mayby try to set the Gamma/Brightness in the Graphics Driver , or use Reshade ! That's true, but the real issue is that the renderer in the GDX ports is based on the ancient version of Polymost that was in JFBuild and simply doesn't support rendering some of the sector/wall/sprite properties in the engine correctly. I haven't seen the skybox def but in response to that it can be a good idea to add the line "nocompress" to the end of the skybox def. Thanks. I will do so for the next release. - The 2x and 4x scaling options are interesting though on 1080 i do notice uneven aliasing with the weapon sprites. That's a result of moving to hardware scaling. 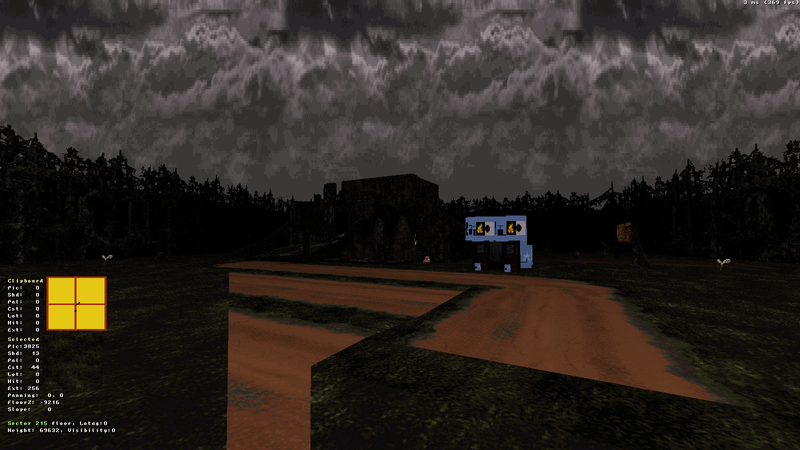 Previously the screen was pixel doubled before applying HUD and first person weapon sprites. Now the screen is scaled after those are applied. This also happens in original version as well. EDuke32 devs are going to add OPL3 emulation at some point. Framerate seems a tad low in classic mode @ 1440p on a i7 8086k, might just be me though. How does original EDuke32 work on your setup? simply doesn't support rendering some of the sector/wall/sprite properties in the engine correctly. What are you about? Examples? Works fine at a solid 165 FPS, but this drops from that 165 a lot to 110-120ish. It's not awful by any stretch, just a bit jarring. Honestly, it's probably just due to the fact I'm running software at 1440p. Sorry for the late reply, and slightly off-topic, but does that mean this 32-bit rendering issue is present in newer versions of eDuke as well? Yes, but it happens rarely with Duke 3D maps. What kind of rendering errors are they, anyway? Sounds like these tracks were recorded with a CQM(Creative's OPL3 clone) rather than proper OPL3 card. Yeah, you should see what it can look like in action when you have more complicated/corner case maps. It's a flicker disco and looks like the whole map is corrupted despite it being just fine. Is there any sort of trigger for those effects or is it just whenever it feels like? That's interesting. I also have the older files of musicpack_opl.zip, eduke32_musopl.zip (+eduke32_musonly.zip for use without the HRP) and duke3d_musopl.zip (the latter of which probably being eduke32_musopl.zip with modified highres/music.def and readme.txt files). Here High Treason stated that he used AWE64 card to record this music pack. It is well known that none of AWE64 cards had true OPL3. Do you support grpinfo? I tried to compile a custom rt66.grp, but Rednukem wouldn't show it even if a proper grpinfo is written. I tested it later with redneck.grp from GOG and if I add all the data correctly into grpinfo, the groupfile is actually not even shown in the launcher. I am able to make the addon show up in the launcher when adding the "dependency" flag (with CRC of redneck.grp), but after launch the screen would remain black. I guess it's because main grp is not loaded. I'll look into this issue in few days.